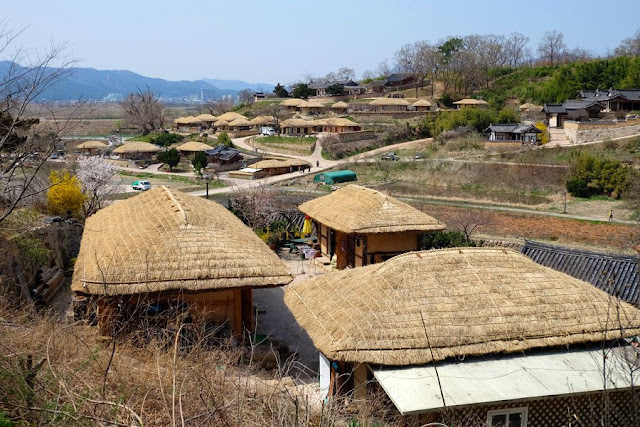 I visited Yangdong Village, which is South Korea's largest traditional village, with 160 houses, 54 of which are over 200 years old. 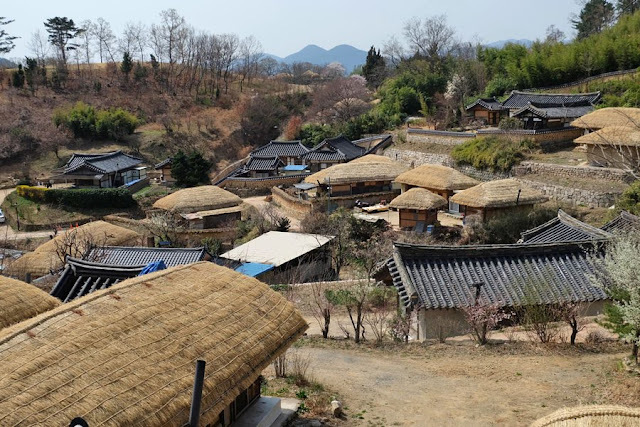 It is also one of the two villages included in the UNESCO World Heritage Site called Historic Villages of Korea (the other one is Hahoe Village in Andong). 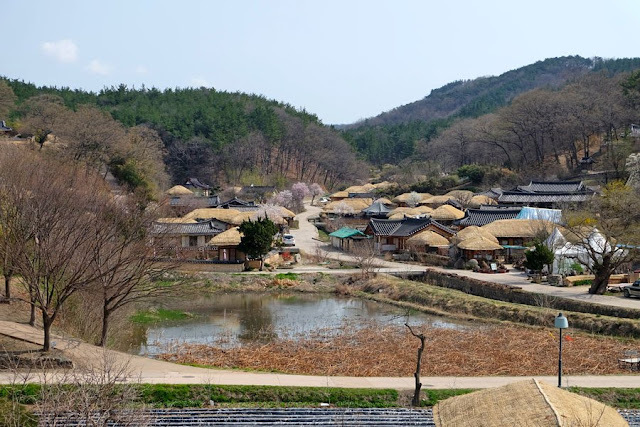 Both villages were founded in the 14th to 15th centuries. 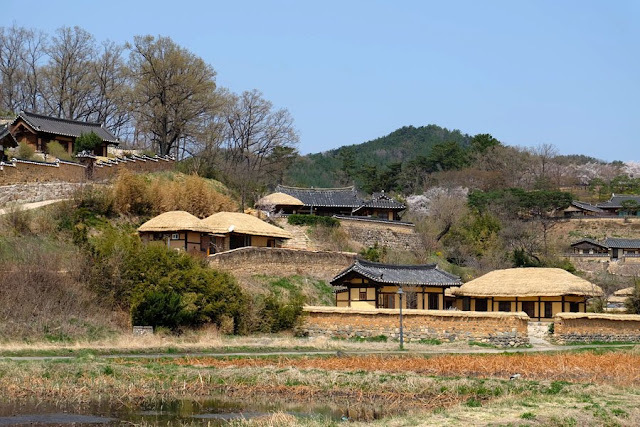 The villages are sheltered by mountains and face out onto a river and open agricultural fields. 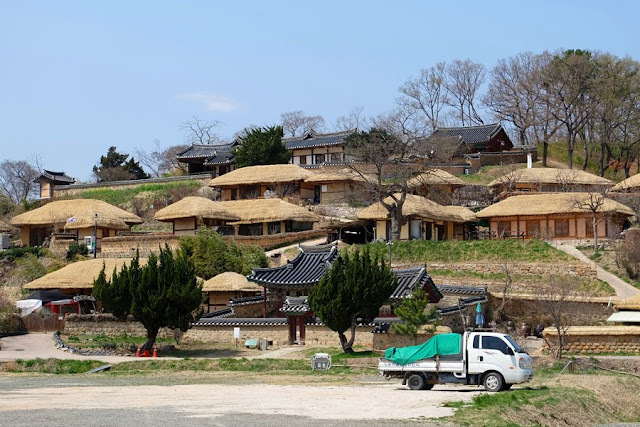 In the villages are residences of the head families, timber framed houses of clan members, pavilions, study halls, Confucian academies for learning, and one storey mud-walled, thatched-roofed houses, formerly for commoners. 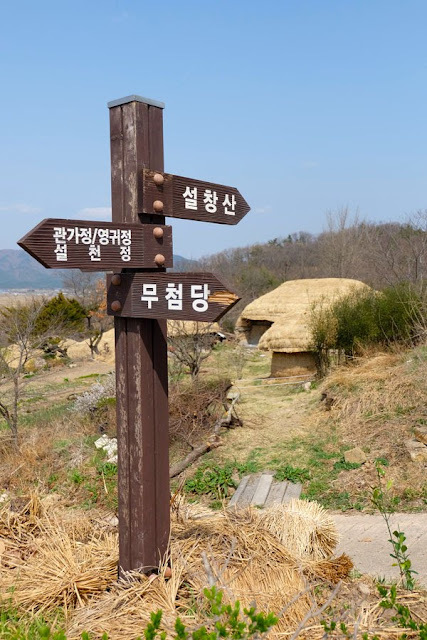 At the entrance of the village is a museum (free admission) where one can learn about the history of the village, its clans, and the existing buildings that have been designated as cultural heritage properties. 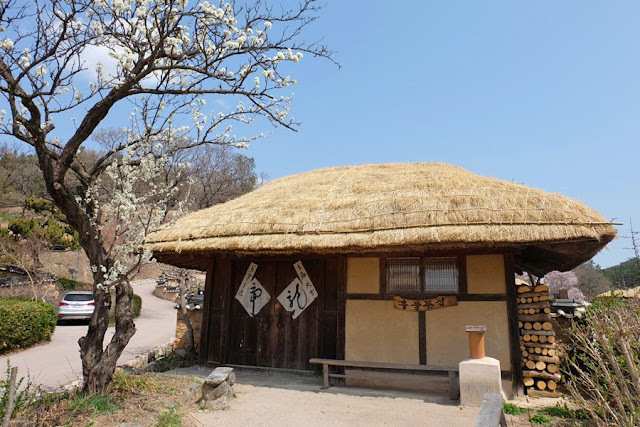 I checked out the 22 cultural heritage properties by walking around the village and visiting each (I was given a map when I paid for the admission fee). 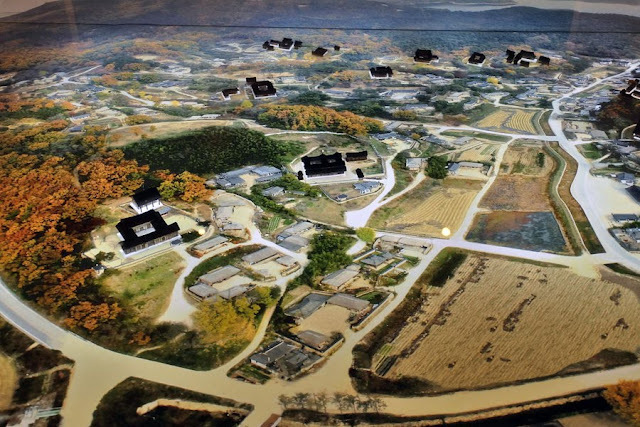 The hunt for these properties was a workout for these houses were almost always on higher ground, some with steep roads. 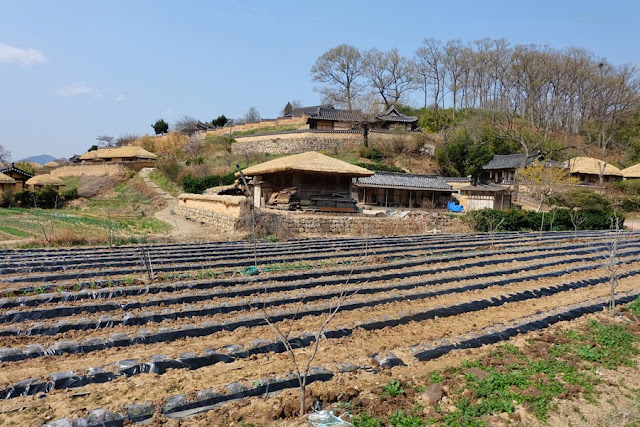 Gwangajeong, means "to see the harvest," named such because it was located where one had a view of the plain and river in the distance. 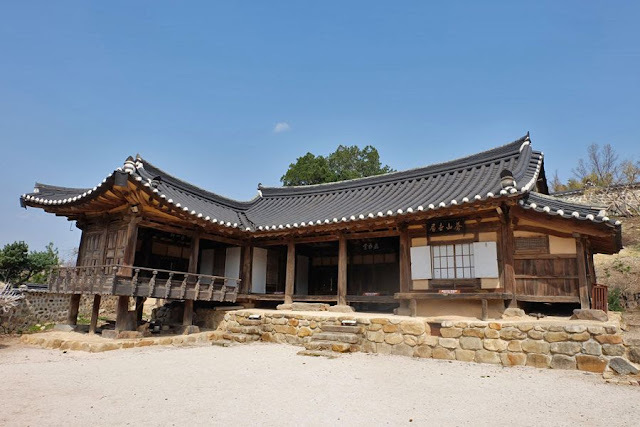 It was built around 1500 by a Confucian scholar-official of the Joseon Dynasty. 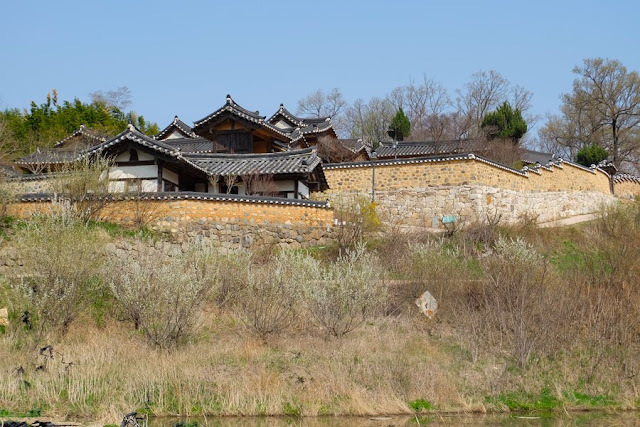 Hyangdan was built in 1543 at the order of King Jungjong for Yi Eon-jeok, the governor of Gyeongsan Province. 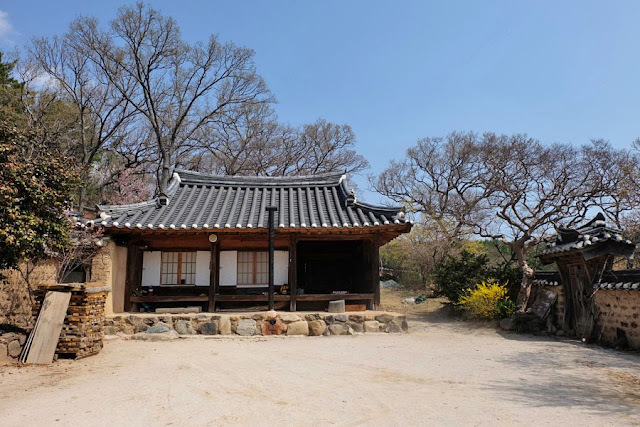 Mucheomdang is a detached building of the head family house of Yi Eon-jeok. 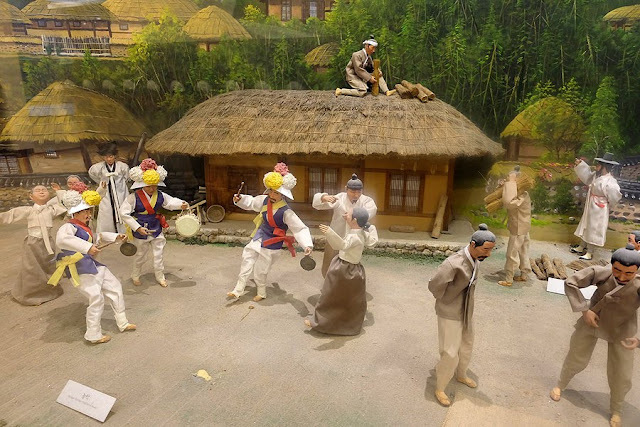 The wooden-floored center hall is used for ancestral rites and to receive guests. If I got lost, this directional post would be of no help to me. 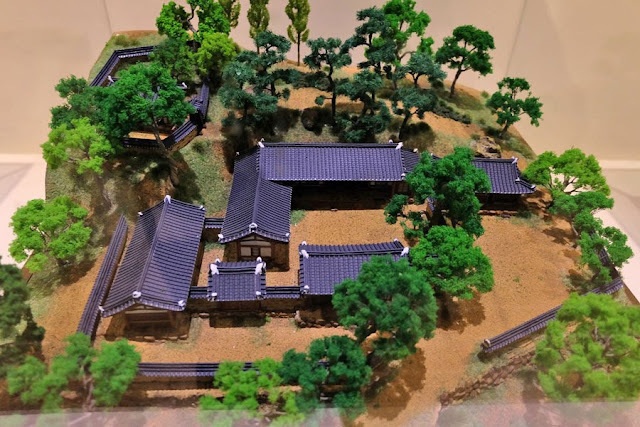 Seobaekdang, built in 1459, is the head family house of the Son clan. 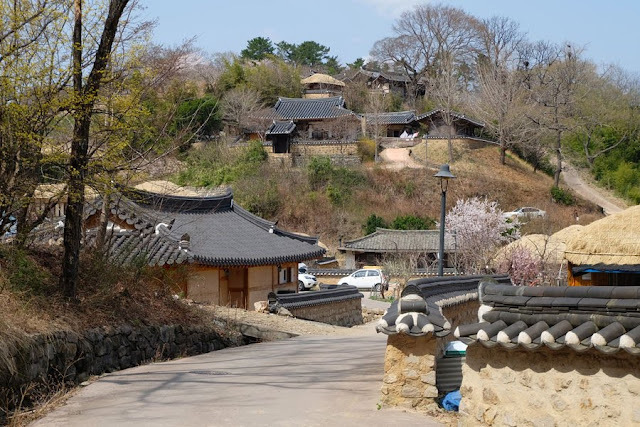 The 7-meter tall juniper tree in Seobaekdang has branches spreading 12 meters in diameter, and is about 600 years old! 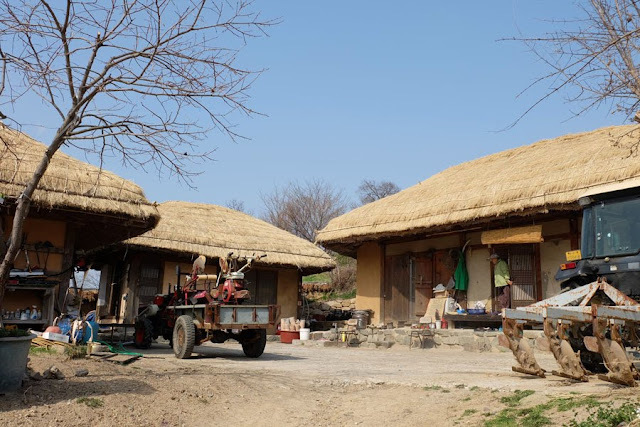 Yangdong Village is very quiet and peaceful. (And there were less than ten visitors that day.) 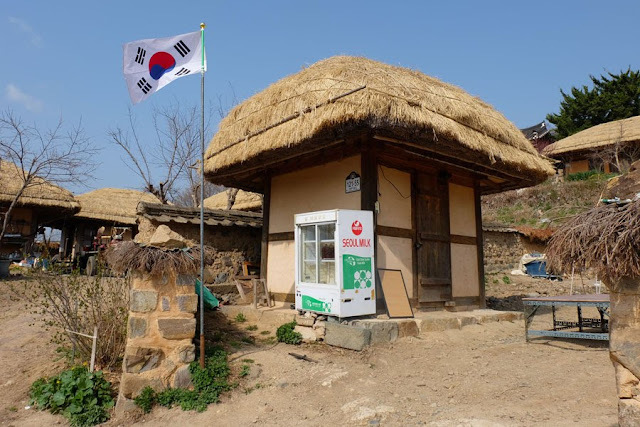 People still live in the village and I was careful to follow the map and not trespass on private property. 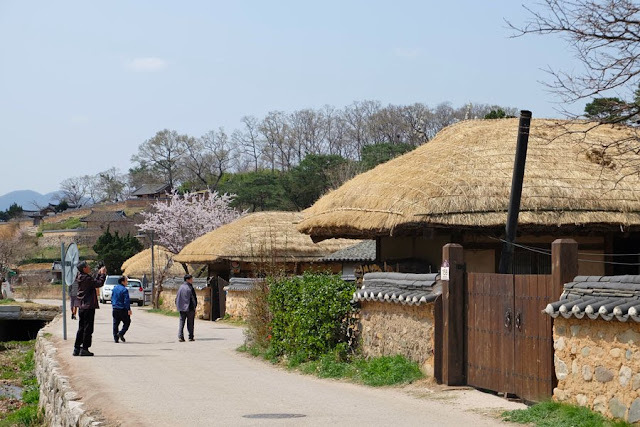 The houses and school buildings in the village that have been designated as important cultural properties can be viewed from the outside, but cannot be entered. 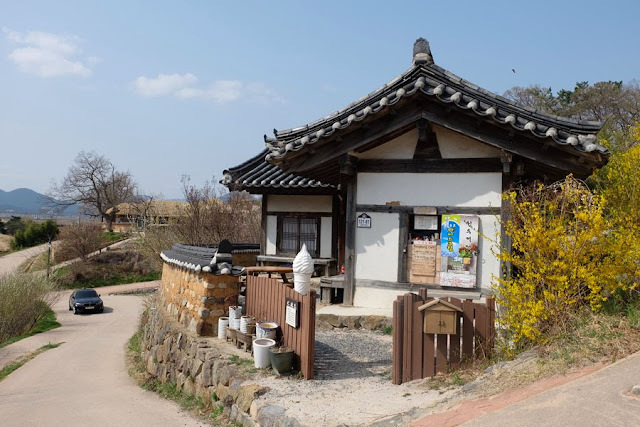 Directions to Gyeongju Yangdong Village: At Gyeongju Intercity Bus Terminal, take bus 203 to 양동마을입구 Yangdong Village Entrance bus stop (1300 won cash/1250 won transportation card; 35 minutes). 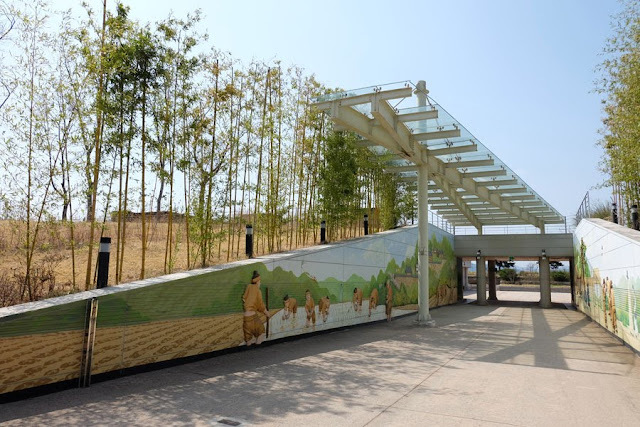 Bus 203 is the only bus that goes direct to the village, it is important to note the bus schedule. 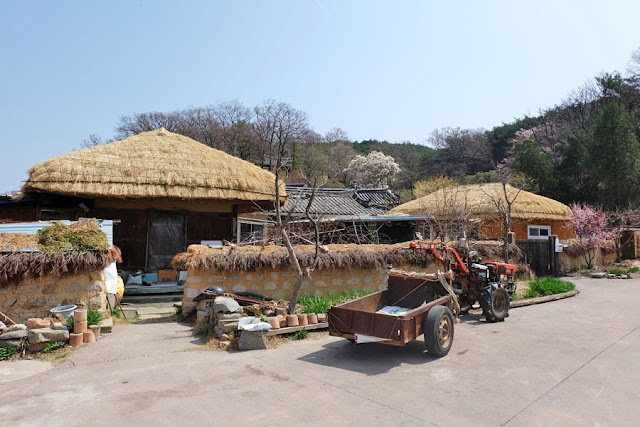 If you miss bus 203, you can take bus 206 and get off at 양동마을 Yangdong Village bus stop then walk about 750 meters (8 minutes) to Yangdong Village.